She turns up the heat on him and it seems to work. They have their first kiss! 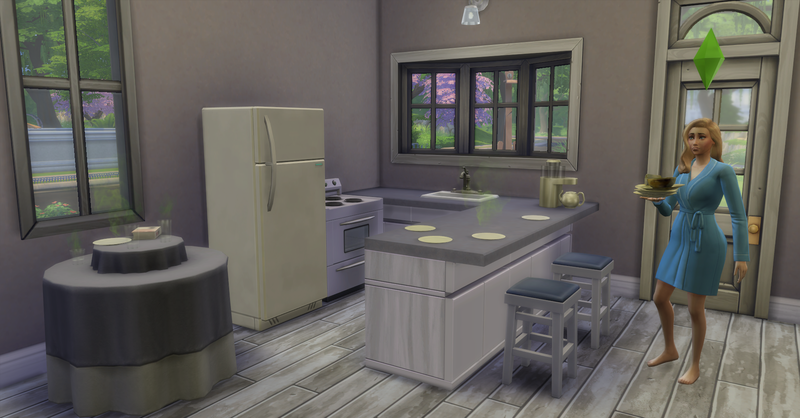 They move into the house for more flirting and she asks him to woohoo with her. They both seem pretty excited! Later she asks him to marry her. And he says yes! With Katrina Caliente watching, kinda creepy. 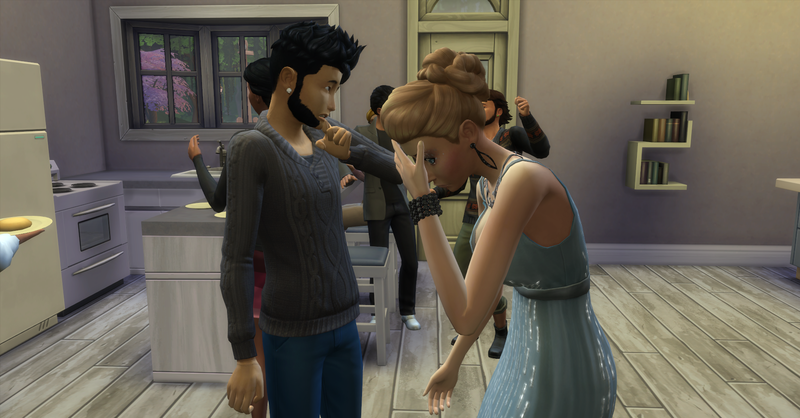 Odette and Ulises go on a date to the new nightclub Ultra Violet, that just opened to celebrate their engagement. They dance together and Odette checks out the other guys, she especially has her eyes on this young man with the massive side burns, perhaps he will be her next husband. 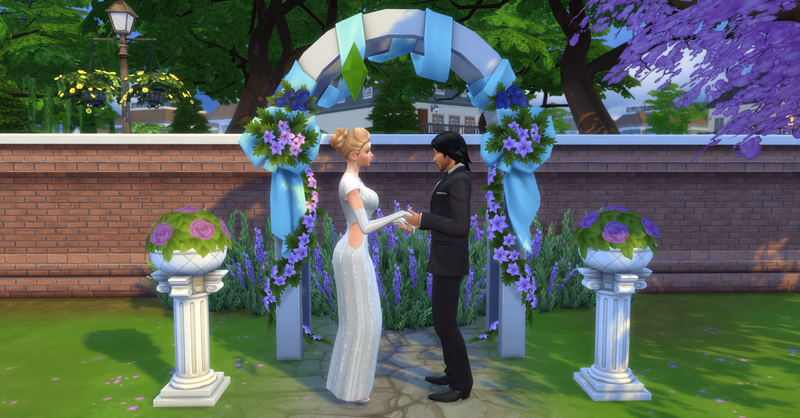 Odette and Ulises get married the next day at the Museum in Willow Creek. She doesn’t seem too happy about being tied down with marriage, while Ulises looks like he found the love of his life. He has no idea that when he said “til death do us part” that death was going to come sooner rather than later. 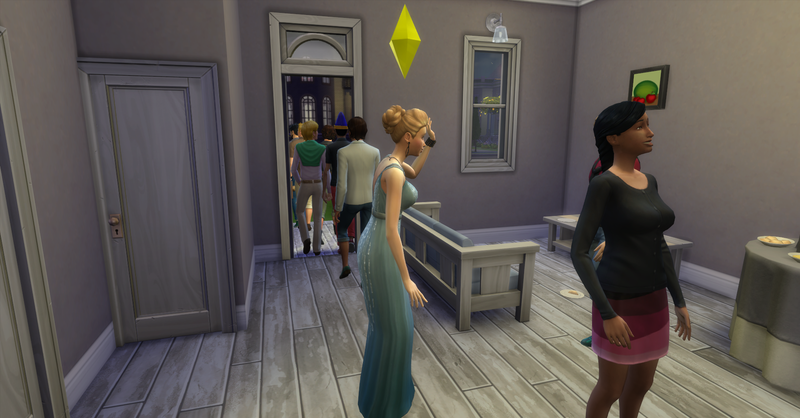 During the wedding, Odette slipped inside the museum to talk to the guy she was checking out in the club last night. They really hit it off and she thinks he might be just what she needs to distract her from her new obligations in marriage. Back at home after the wedding, Odette and Ulises try for a baby. She is pregnant and rushes outside in her underwear to tell Ulises the good news, he does not seem so pleased. 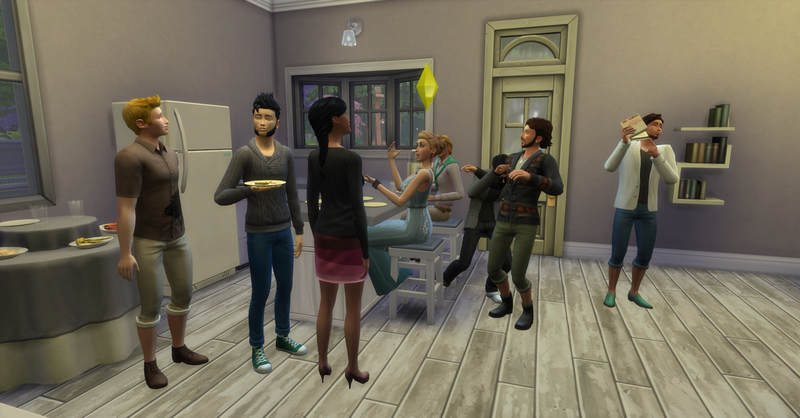 That night Odette throws her first dinner party to show what a good wife she is. She invites Ulises but he doesn’t come. 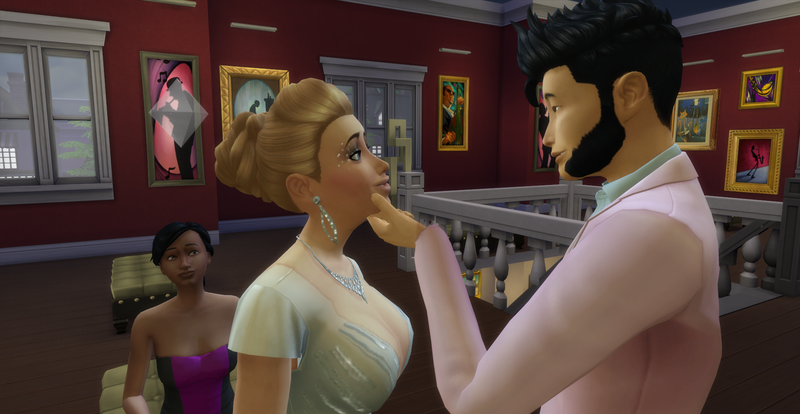 Since Ulises was not there, she took the opportunity to flirt with Stewart (of the large sideburns) who she met at the club and again at her wedding. Unfortunately she says something awkward and their romance suffers from it. Odette knows that he is uncomfortable with the fact that she is married. The party ends with a gold metal and she waves goodbye to the last guests. She is very tired, but the party was a great success! She will clean up in the morning. 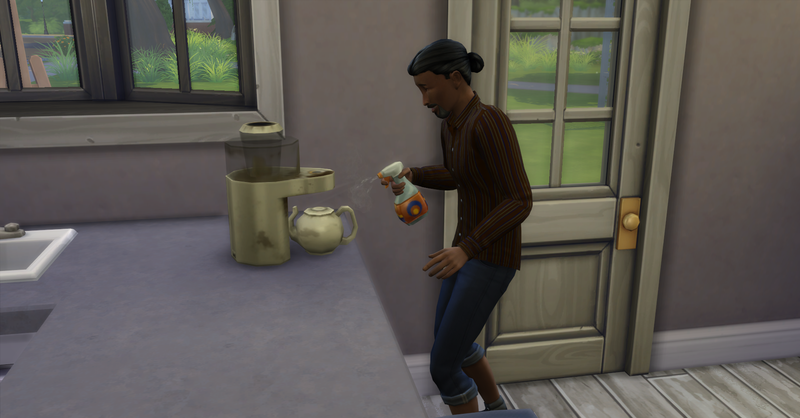 In the morning Odette cleans up the party mess, she is starting to show from her pregnancy. After cleaning up she tends to her garden when she sees this hottie walking by, she has a thing for long hair on guys. She introduces herself to him, his name is Brennen Glass. She invites him to hang out and they get cozy on the couch. She decides to pursue him instead of Stewart since her relationship with Stewart took a heavy hit last night at the party. They share their first kiss together. And Odette discovers that Brennen is an Alien! Odette is an equal opportunity lover so she doesn’t let that fact bother her. They jump right into bed together and Ulises comes by to visit while they are woohooing. She decides that she likes woohooing with an alien and asks Brennen to be her boyfriend and he says yes. Later that day, Ulises returned to visit again because no one answered when he was here earlier and he discovers Odette cheating on him with Brennen! This was a very awkward and embarrassing moment for Odette. She is also feeling the pains of her pregnancy with Ulises’ child. Since Odette has found new love with Brennen and she is also pregnant with Ulises’ child she really doesn’t need Ulises anymore. In fact he is just complicating her new relationship, so she locks him in her Black Widow’s cage and lets nature take care of the rest. While Ulises is in the cage, Odette gives birth to his son, she names him after his soon to be deceased father. 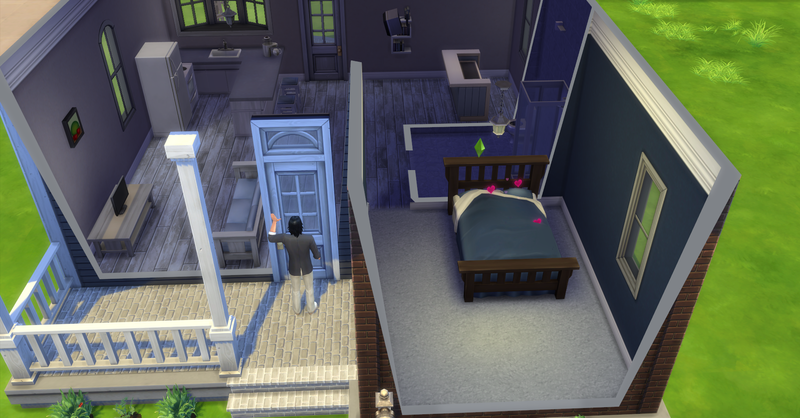 Odette decides to ask Brennen to move in so she has some help around the house and with the baby. 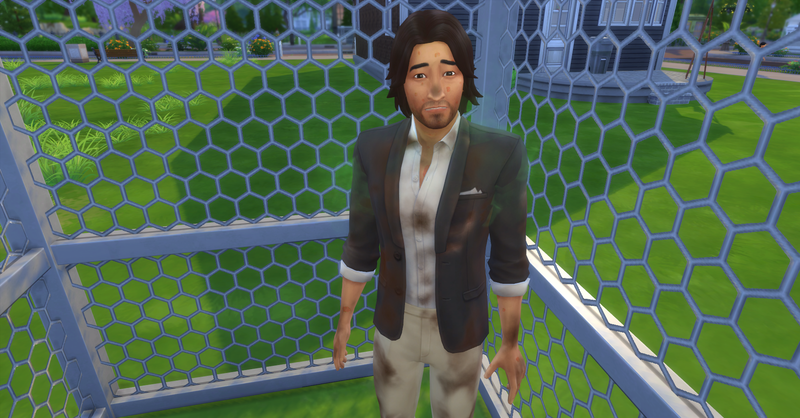 Brennen is turning into a very good house-husband, he cleans and takes care of the garden for her. Death arrives and takes Ulises soul to the underworld. Who knows if his ghost will visit Odette in the future. With his death Odette inherits §20,000 from Ulises’ estate, she is now quite a bit richer. Odette mourns the passing of her husband briefly before returning to normal life. 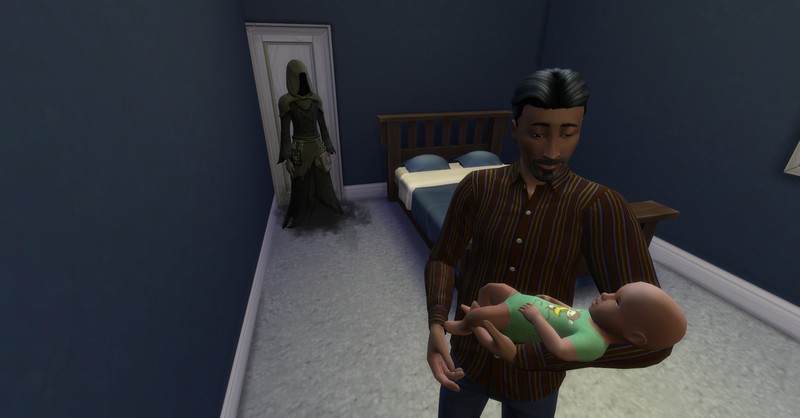 We will end this episode with a very interesting situation, here is Brennen holding deceased Ulises’ son (also named Ulises) and death is watching them from behind. Little does Brennen know but this is a premonition into his future! Wow. I like that she basically locked him up in a cage and let him starve to death. LOL. It’s wrong to find this funny but it is. Well it is a Black Widow challenge after all. I do have a hard time containing my joy at torturing these poor sims. 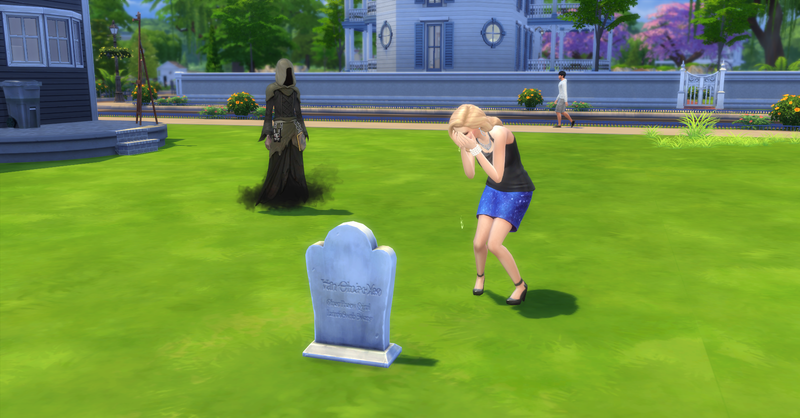 I have never intentionally murdered my sims before, so this is a completely new experience for me. I like to mix things up! I love the way you’re playing this challenge. It’s so interesting and poor little Ulises and uh oh Brennen. There is a very poor future for all of Odette’s husbands! Although Odette has a triple threat coming in to her life soon so she has to watch out!